Wow, tough day yesterday. If you had a winning day at Saratoga yesterday I applaud you because there were some winners you couldn’t see coming. Back at it today with full card selections looking for a little redemption. Check Twitter for possible tickets later in the day. We crushed the end of Monday’s card at the Spa closing it out with a $42.20/$15.80/$9.50 winner on top and a $1 Pick 3 hitting for $852.50 on a $27 ticket. Hope that some of you guys took advantage of that one. Today’s card is not the greatest, but it is the last Wednesday we get to bet Saratoga until next summer so we need to take advantage of it. As always, follow along on Twitter for possible tickets later today! We were happy with our Travers Saturday at Saratoga, but disappointed that after being on Sadler’s Joy in his last two races we left him out of our top 3 and it was the only miss we had in the last 8 races on Saturday. We close out the last Monday in August with full card selections on what looks to be another nice card. 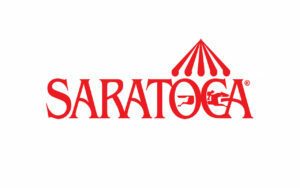 It is hard to believe that there is only one week left in the Saratoga meet. As always, make sure you are following along on Twitter for possible tickets once we see how the track is playing. 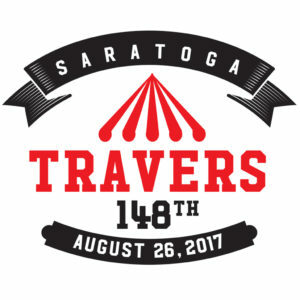 SATURDAY – 08/26/2017 Travers Day! Ok guys, we caught some Exactas yesterday and had some rolling doubles. Let’s put it all together today and crush Saratoga today when we have a ton of dead money in the pools. Possible tickets later in the day via Twitter! Make sure you are following! If I get back later I may have tickets on Twitter so make sure you are following. We are back to kick off Travers week with what appears to be a nice card and the weather seems to be ready to cooperate with us so let’s make some dough. No tickets yet, but follow along on Twitter in the event that something looks interesting. We continued our slump early yesterday, but did hit the chalky late Pick 4 so let’s carry that momentum into today’s card. No tickets yet, possibly later via Twitter. We just missed on both Pick 4 tickets on Monday which really hurt. Let’s get it back today. Check Twitter for possible recommended tickets. Late Pick4 may hit Twitter after I see how the track is playing. Make sure you are following!